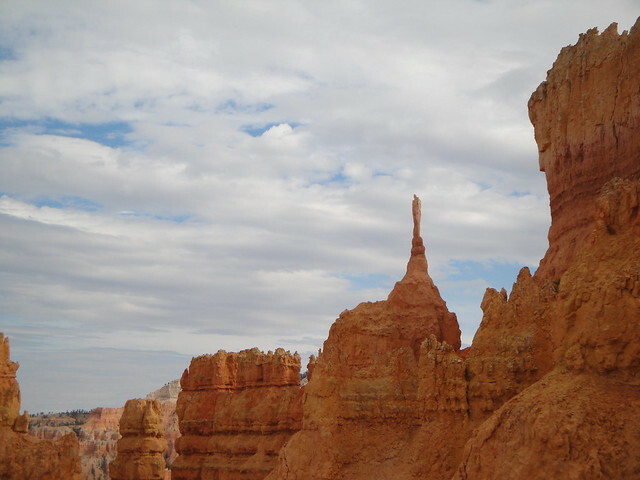 The unique spires or “hoodoos” in Bryce Canyon are unlike anything I have ever seen before. The canyon is filled with thousands of bright orange, yellow and pink limestone pillars of rock. 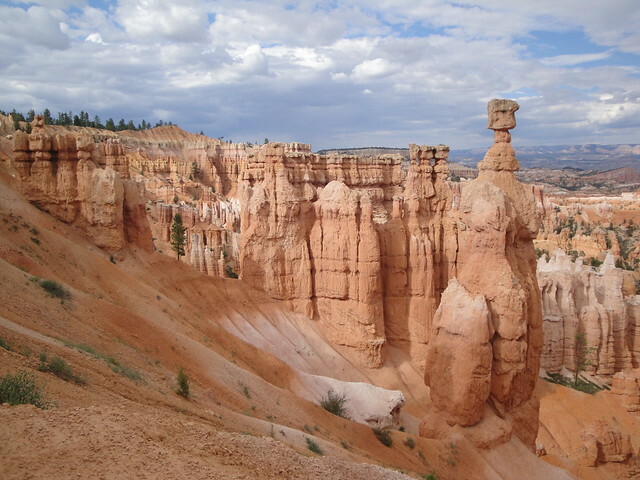 They got the name “hoodoos” from a magical spell they would cast on people who visit. I must have felt it too because I was fascinated by their beauty. We caught a brilliant sunset which illuminated each spire with intensity. Each formation reminded me of a piece of sidewalk chalk ready to decorate the sky. They also resembled stalagmites in a cave, but without a ceiling. The spires were created by rain and ice washing away the weaker parts of the limestone. Some have been given names such as Thor’s Hammer and The Sentinel. Over 160 miles to the north of the Grand Canyon, this magical area of the world is only seen here in the southern region of Utah. 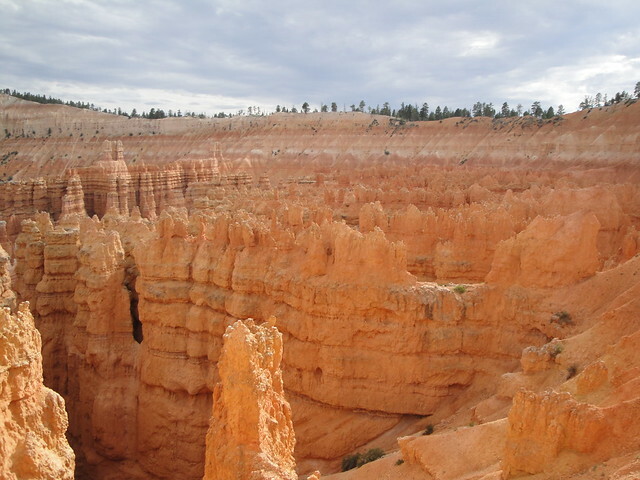 Bryce Canyon is truly and awe-inspiring and wonderful place to experience. 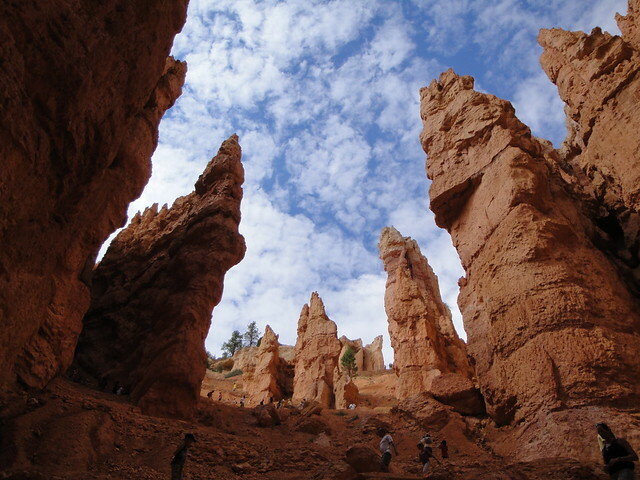 To see more pictures from Bryce Canyon, click here. 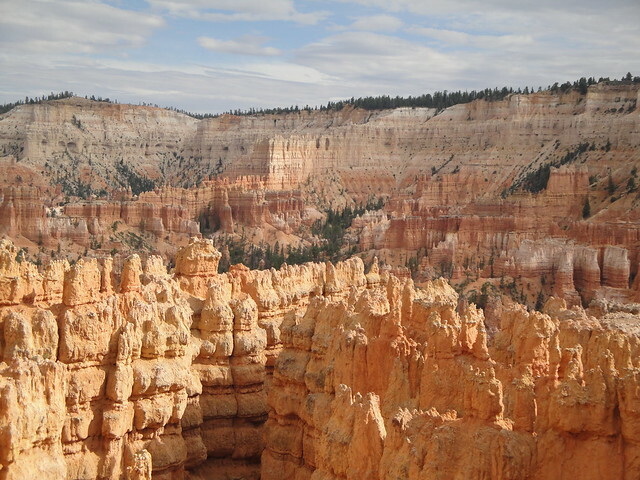 Posted by jingerventures on December 5, 2011 in All adVentures, Southwest and tagged Bryce Canyon, Hiking, Road Trip, Scenic, Southwest, Utah. It’s incredible how many unique places there are in Utah and Colorado. I think I’ll need to plan to stay more than a month when I go there. I agree. It is pretty incredible when you can see a place like Bryce and then drive a few hours to Arches and see a completely different landscape. I definitely wish I had more time to explore when I visited. Great pictures that reminded me of my visit there in 1995 – a real fovourite of mine – Thanks!